Why Travel To Boston Or Lincoln For Your HGV/Truck MOTs & Brake Testing? Road congestion is a serious issue around Lincolnshire’s major towns, especially Lincoln, Grantham and Boston. The ring of A Roads around the city of Lincoln itself, including stretches of the A46, A15 and A158 are almost impassable at certain times of the day. A lot of this is commuter traffic and heavy goods vehicles. It becomes even more of a problem during school holidays, with a steady flow of tourist traffic clogging the A158 and A17 on the way to Skegness, Mablethorpe and the East Lincs coastal resorts. This poses a bit of a nightmare for HGV fleet operators based in Lincolnshire or East Nottinghamshire, who need to travel to Boston or Lincoln for brake testing and HGV truck MOTs. It means that several times a year you need to take one or more of your fleet vehicles out of service for it to waste time and fuel crawling along needlessly congested roads, all the while adding to this problem yourself! HGV operators often get a bad wrap from the media and public commentators, this in spite of the continued dependence of the UK’s consumer economy on road-based logistics deliveries. This being said, HGV operators do carry a responsibility to help in the drive to improve road safety, and to cut back on unnecessary journeys. 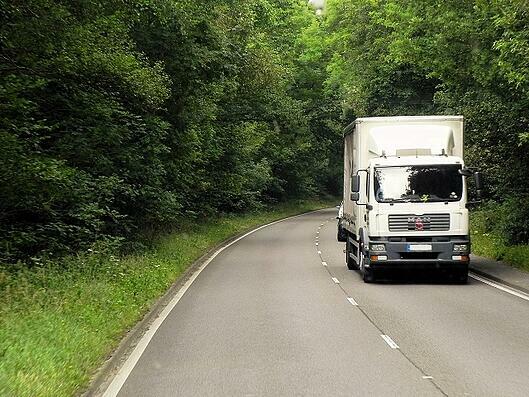 A 2014 Metropolitan Transport Research Unit investigation into the ‘costs of Heavy Goods Vehicles’ states that 29% of HGV travel involves empty journeys, and a further 47% of journeys are undertaken at less than full capacity. The full report can be read here. The list could go on! At Pedersens we are doing our bit to help you avoid unnecessary journeys by investing in a new VOSA MOT Lane in central Lincolnshire to take the pressure off of fleets who currently send their vehicles to Lincoln or Boston. Once the servicing centre is set up, you will be able to avoid the county’s traffic hotspots, requiring less downtime and making your fleet more productive. Unfortunately, for us to secure VOSA approval for our investment we need to be able to demonstrate a high level of registered interest from HGV businesses in the area. So, if this service is something that would benefit you, please head over to our website and register your interest now through our quick online contact form. We look forward to making it that bit easier to operate an HGV business in the local area, and to do our bit to make Lincolnshire’s roads that bit less stressful!